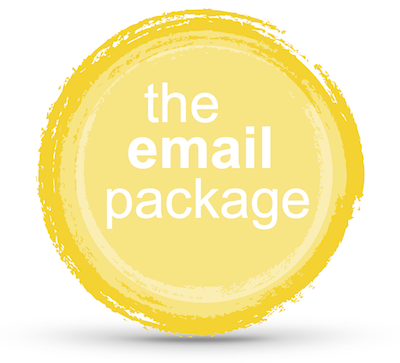 Email Package – Your Creative Life. This is one of my most popular coaching offers – designed specifically for busy, ambitious creatives (or for those who never want to change out of their pajamas). We’ll turn your email into a high-powered tool to increase your discipline and get your writing project or career into shape – like Dwayne Johnson shape. • We’ll start with a 30 minute consult (one of two 30 minutes calls) where you’ll clarify and outline your goals. • For 2 months we’ll engage in a focused email dialogue examining your challenges, skills and opportunities and set metrics to track your progress. You email as much as you want. You’ll get focused responses up to twice a week. • You have 1 additional half-hour of consult time, which you can drop into the midst our time together, or save as capstone call the end of your coaching period. Email coaching was developed by Eric Maisel, PhD, one of my coaching mentors and is a powerful methodology that many clients enjoy.